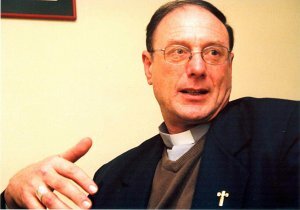 Luis Infanti De La Mora, Bishop of Aysén region (Chile), will attend Enel’s Annual General Meeting today to say “no” to a project for the construction of five big dams on the rivers Baker and Pascua, and to get Chilean water back in public hands. The Bishop will be delegated to attend the meeting by the Missionary Oblates of Mary Immaculate, by initiative of Fondazione Culturale Responsabilità Etica. The Oblates are shareholders in Etica. Enel has inherited the big dams projects in Patagonia by Spanish utility Endesa, acquired by Enel in 2009. It’s a project with devastating impacts on a real natural paradise that poses serious risks on the security of dams, since Aysén is a seismic region. Oscar Gonzales OMI in Chile writes of the destruction in the country from the recent earthquake. 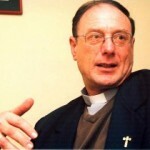 He reports that the Oblates have suffered no major harm, except perhaps some damage to the Provincial House. They are working hard to help those who have been affected, especially the impoverished families with whom they work. This information is also available in Spanish. The landmark ruling on indigenous water rights was in a case that pitted Region I Aymara communities against Agua Mineral Chusmiza, a company seeking the rights to bottle and sell freshwater from a source used historically by Aymara indigenous residents.